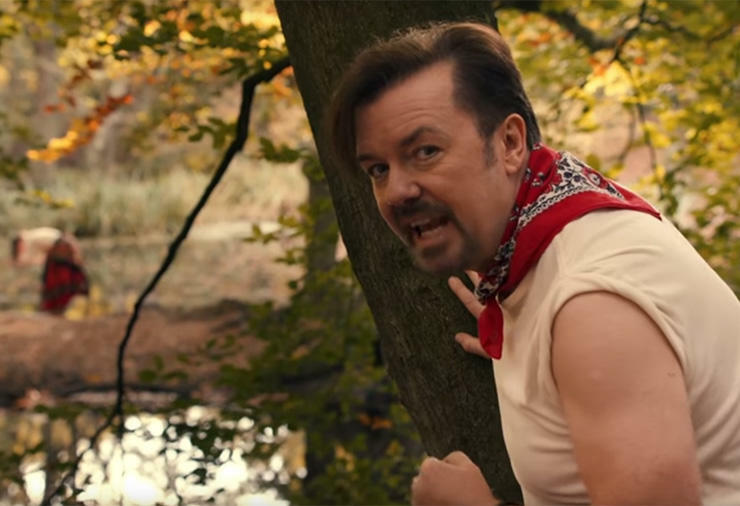 David Brent’s first music video was released Friday. It’s for his song “Lady Gypsy,” and it’s very silly. It’s a folk-rock song about falling in love with a woodland nymph, and it’s played pretty straight… Until it takes a turn halfway in. In the years since the original, British version of The Office finished airing, former office manager David Brent (Ricky Gervais) has devoted his life to pursuing his dream of becoming a rock star. His efforts are chronicled in the upcoming mockumentary David Brent: Life On the Road, which follows him as he tours England trying to get people excited about his music. Gervais originated the character of David Brent for the highly influential comedy series The Office that ran for two seasons and two specials from 2001 to 2003. Gervais created, wrote and directed The Office with Stephen Merchant, who is not involved with Life on the Road. David Brent: Life on the Road opens in UK theaters next month, and will be available on Netflix in the United States in 2017. Are Selena Gomez’s New Bangs Real?